Lead paint and Asbestos removal present unique challenges for both dedicated abatement contractors and general contractors who run into these materials on the job site. From personal exposure issues to the regulatory concerns from OSHA and the EPA. For those trying to comply with regulations like the EPA RRP rule the level of scrutiny required is high. 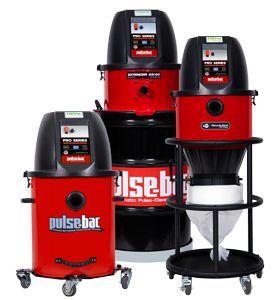 Pulse-Bac has dust collection and clean-up solutions specifically tailored to abatement tasks. The models recommended in the table below both feature our Dual-Stage Certified HEPA filtration system. 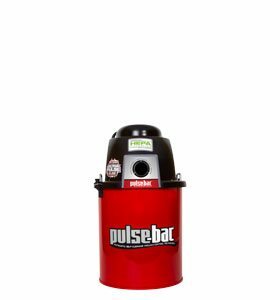 This means that the air taken in by the vacuum passes through an individually tested and Certified HEPA Filter in front of the motor and the air exhausted from motor passes through an additional individually tested and Certified HEPA Filter. 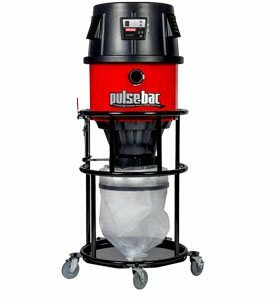 This ensures that when you’re dealing with toxic/hazardous materials like lead paint and asbestos that you get the maximum level of filtration. In fact, third-party testing of the 550H showed that our 2 stage filtration system actually provided 99.99% @ 0.3µm filtration, exceeding the standard.